Just a few hours ago, Binance announced that they would be completely revamping how they allow people to buy ICOs that are offered through the Binance Launchpad. In this article, we’re going to explore what this announcement is and what it means for traders on the Binance platform. 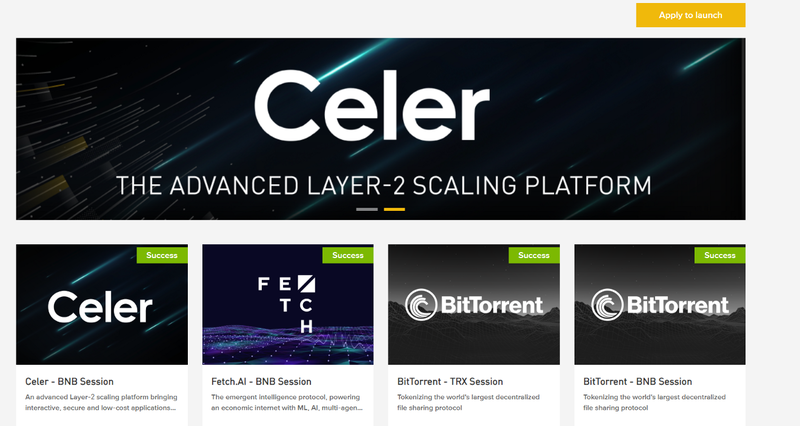 But first, let’s give a brief review of the ‘Binance Launchpad’. What is the Binance Launchpad? 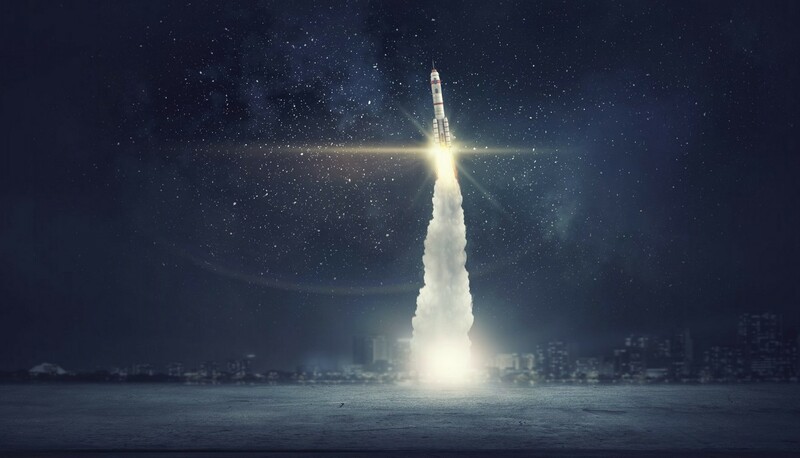 In short, the ‘Binance Launchpad’, is a token launch platform. In short, Binance is essentially launching ICOs from their very own platform. Those that are registered with the exchange and have upgraded their account to ‘verified’ status are eligible to participate. However, there are a few caveats to participation, which are explained in the most recent press release that Binance issued. The basic premise of the most recent press release from Binance is that the platform will be transitioning to a ‘lottery’ system to determine which users on the platform will receive the privilege of buying hosted ICOs from their platform. This setup is just a tad bit confusing, so let’s go ahead and deconstruct what’s going on. Whenever Binance decides to launch a new ICO from their platform (which they’ve stated will be within the next couple of weeks), they will start a 20-day ‘countdown’. During that countdown, Binance will check every exchange user’s balance of $BNB at 0:00 UTC (midnight). If a user has between 100 to 200 Binance tokens in their possession at every ‘checkpoint’ during this 20-day period, they will receive 1 lottery ticket. If a user has between 200 to 300 Binance tokens, they’ll receive 2 tickets. If its 300 to 400 Binance tokens, they’ll receive 3 tickets, for 400 to 500 tokens they’ll get 4 tickets and for 500 tokens and above, users will receive 5 lottery tickets (the absolute maximum it appears). At the conclusion of the 20-day period, Binance will give users 24 hours to claim the lottery tickets that they are entitled to receiving. The example above is fairly self-explanatory, so we won’t waste any time digging into decoding what it means. It goes without saying that this structure will benefit Binance tremendously. Essentially, this structure mandates that individuals must purchase Binance tokens in order to participate in any of their Launchpad ICOs, and even then, there is no guarantee that this purchase will actually yield a viable opportunity to actually purchase these ICO tokens. This structure also guarantees that Binance profits regardless of whether the price of Binance token appreciates or depreciates. This is due to the fact that Binance tokens must be redeemed for the equivalent amount of ICO tokens that the lottery ticket winner has the right to purchase. Thus, Binance has created a structure where someone must exchange real value (i.e., Bitcoin, USD, etc. ), in order to purchase Binance tokens (which Binance owns), then they must redeem these same tokens that they have obtained in order to purchase the ICO from Binance’s platform. There are some notable issues and strong conflicts of interest that should be addressed by either the Binance platform or Changpeng Zhao (CZ; CEO of Binance) himself. Binance has not divulged how much $BNB that they will be personally selling during this 20-day period (or in general). Therefore, there is no way for sellers to know whether Binance is effectively creating demand on their platform as a means of liquidating down these tokens that they created. This is especially worth noting since these tokens ($BNB) have no objective value, making this ‘free money’ in a sense for the platform. Binance has not divulged their holdings in the ICOs that they are offering through their Launchpad platform. One can imagine that Binance would have had to ink some sort of agreement with these companies in order to issue these tokens. Thus, Binance should divulge exactly what they received in exchange for hosting these ICOs on their platform. Without doing so, there is no way to tell whether Binance is obtaining a stake in these ICO projects, then turning around and issuing that stake to their customers in exchange for the $BNB that they just purchased from Binance to win a ‘lottery ticket’. Binance has failed to address any legal considerations with any of this. CZ is on record as stating that he would not give dividends to any holders of the $BNB token because that would mandate that $BNB be listed as a ‘security’ (source: https://bitcoinist.com/binance-ceo-no-profit-sharing-with-users-due-to-bnb-security-status/). However, Binance is offering unregistered securities through its platform. Since there are no jurisdiction restrictions on users that can register with the platform and no KYC/AML performed on those that simply wish to purchase these ICO tokens (after the ICO), there is no reason to believe that Binance’s Launchpad or its handling of these ICOs would constitute any less of a violation than distributing dividends to holders of $BNB. In fact, using DLT (distributed ledger technology) would more than likely allow Binance to distribute dividends to $BNB holders in a decentralized manner. However, this apparently has not been considered. There is no transparency in how the lottery drawing itself will actually work. 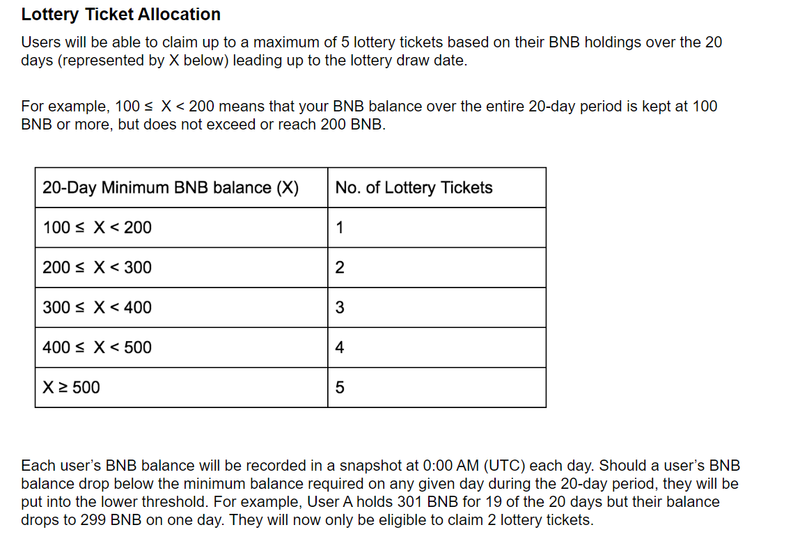 The way that the system is designed makes it implicitly obvious that Binance itself has knowledge of everyone’s lottery ticket number. 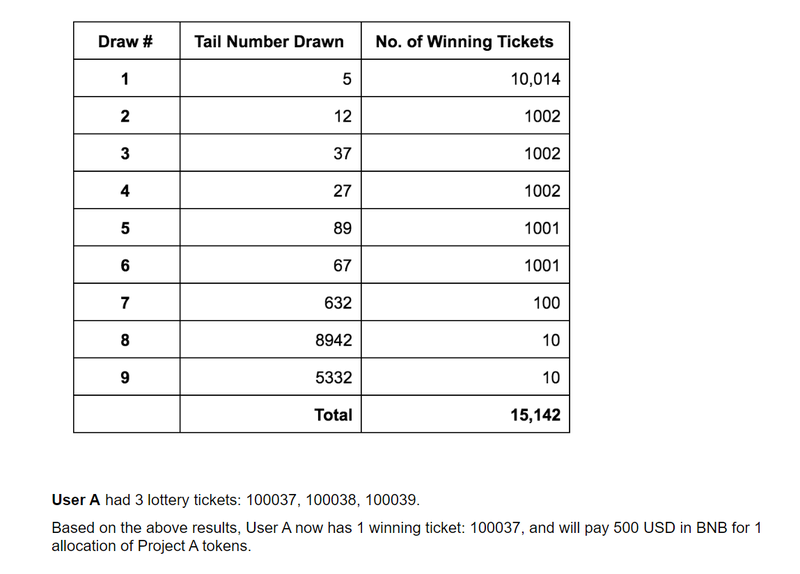 Thus, if the crypto community is to believe that these lottery tickets are being drawn in a ‘fair’ manner, then Binance should provide explicit details on how these numbers are selected for the lottery tickets. Binance should provide more information on how they decide which ICOs that they are going to list on their platform. At this point, the decision appears to be an arbitrary, subjective evaluation and even that is not disclosed. There should be some sort of informative, objective research report/prospectus that is provided by Binance that attests to the legitimacy of these assets that they are offering (in what essentially amounts to a security offering). Binance should provide information on how many lottery tickets were applied for (at the end of the 20-day period), as well as the ‘win-rate’. Again, without this information, there is no way for customers to assess how ‘fair’ this lottery system truly is or whether it is working or not. Binance has not stipulated that it will restrict any employees, associated entities, or even ICO winners themselves from participating in this lottery. Without doing so, there is no reason to believe that these individuals are not equally as eligible for winning an opportunity to purchase these ICOs from Binance Launchpad as any individual, unaffiliated customer would be. The issues presented above must be addressed by Binance because their failure to do so undermines any and all trust in this entire process (and it rightfully should). There is simply too much wiggle room for Binance or other parties to ‘game the system’ or leverage this ‘lottery’ process in such a way where Binance can ruthlessly profiteer on its customers. Who is to say that Binance does not simply use the increased demand from this lottery system to ‘dump’ its tokens on its customers without depressing the price? And, once that has happened, how do we know that Binance is not receiving an allocation from these ICO companies launching through their launchpad and simply selling their share of tokens with customers that have won the ‘lottery’ selection? And once this sale has completed, how do we know that Binance will not turn around and re-sell those very same tokens back to their customers for the next round of ICO funding, effectively rinsing and repeating? While this lottery system is unique and it has created significant excitement among those that are customers on their platform, it is critical that we as a crypto community do not become so exuberant that we forego any and all due diligence and protection. It is also critical that we continue to hold Binance to a high standard of transparency because, as experience has taught us, no entity in the crypto space should be above question. Hopefully many others in the community will read this piece and consider the far-reaching implications of Binance’s new Launchpad setup.